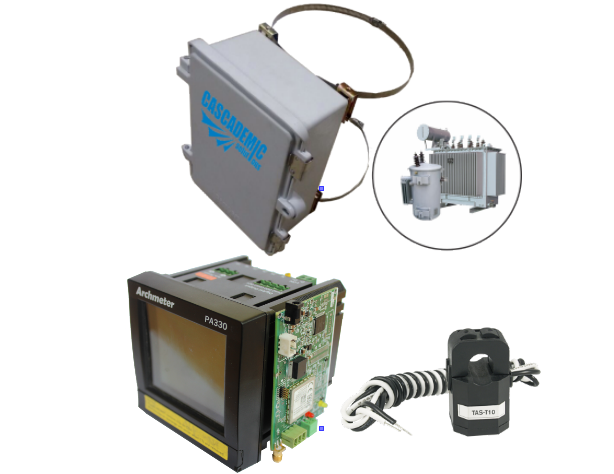 CASCADEMIC Energy Monitoring Solution monitors various aspects of the energy like current, voltage and power factor. The solution helps in real time visualization of the power as well as power quality of the input. The sensors being non intrusive can be clamped on to existing infrastructure without disruption and the independent current sensors and voltage taps allow accurate measurement without sacrificing security . The solution can be cloud connected through various wireless protocols . Depending on the architecture, the node can connect to the GSM (2G/3G/4G Network), LoRaWAN Network Server or through Wi-Fi based Communication. The Energy Monitoring Solution is based on NXP Semiconductors Chipset. CASCADEMIC Energy Monitoring Solution has many applications - Predictive maintenance of Distribution transformers, Solar Power Monitoring, Data Centre Power Management, Energy monitoring in Telecom Tower and Remote Infrastructures, Industrial Plants, Educational Institutions, IT Parks, Malls - being a few of them. CASCADEMIC Energy Monitoring Solution monitors various aspects of the energy like current, voltage and power factor. The solution helps in real time visualization of the power as well as power quality input. The sensors being non intrusive can be clamped on to existing infrastructure without disruption. The independent current sensors and voltage taps allow accurate measurement without sacrificing security. The solution can be cloud connected through various wireless protocols. Depending on the architecture, the node can connect through GSM (2G/3G/4G Network), LoRaWAN Network or through Wi-Fi. 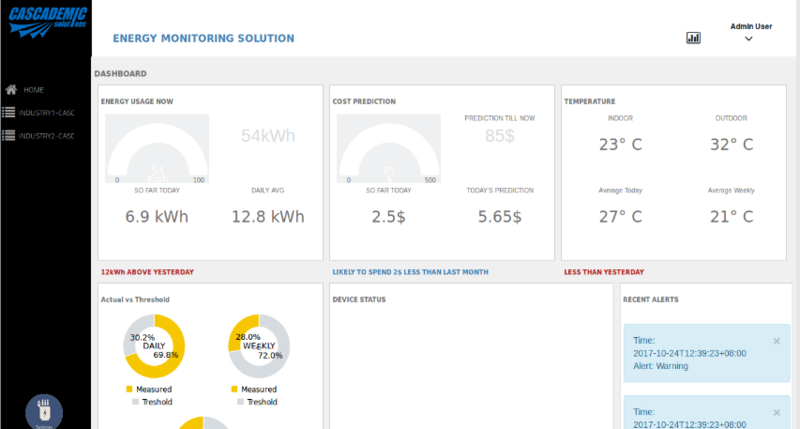 A typical Energy Monitoring Dashboard. Sensitivity:≤ -108 dBm (typ.) @ 850/900 MHz, ≤ -107 dBm (typ.) @ 1800/1900 MHz. Supports TCP/IP, HTTP, FTP protocols.